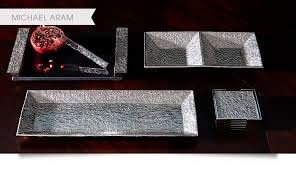 Michael Aram is on the road again promoting his wildly popular collections of serving and decorative pieces, plus kitchen, bar, dinnerware, and more. His creations are featured in upscale department stores such as Neiman-Marcus and Bloomingdale's around the country, and online. When Doug and I learned that Michael was coming to our area once again, we took the opportunity to greet him a second time at Bloomingdale’s in Boca Raton, FL. The first time we met was 4 ½ years earlier at the same location. 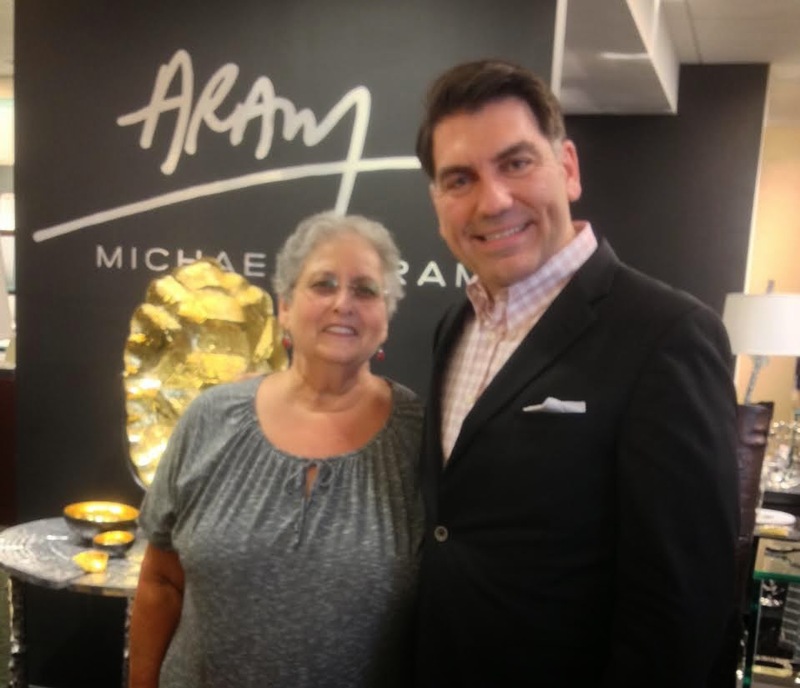 As is the custom, shoppers purchase their favorite Aram pieces, then line up to have him ‘autograph’ the items using an engraving tool. I recognized a number of enthusiastic shoppers - women from our nearby Armenian church! Michael is passionate about his artful creations which are inspired by natural objects – leaves, shells, fruit, butterflies, etc. - and range from playful to sophisticated in design. His collections are as beautiful as they are practical, too. I overheard him tell a shopper that he is thrilled when customer’s say they actually use his pieces on a regular basis. For ease in shopping this holiday season, visit Michael Aram’s official website, or if you happen to be in the New York City area, stop by his flagship store to select a special gift. If you’re lucky, he might even be there to greet you! Homemade Pomegranate Molasses - 2 recipes!